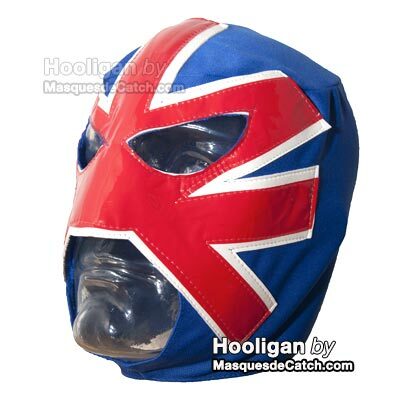 This mask is black in color with red and white details, with a lace-up enclosure in back. 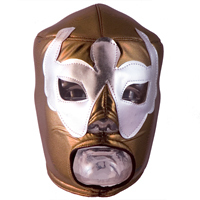 Mouth: CovereOctagón (born March 27, 1961) is a Mexican masked professional wrestler) - his real name is Juan Escalera . He started having a great passion for Karate . In 2011 he was inducted into the promotion's Hall of Fame. Octagón formed a Tag team with El Hijo Del Santo to take on Los Gringos Locos (Eddie Guerrero and Art Barr) in a double mask versus hair match on the first pay-per-view put on by a Mexican wrestling promotion. 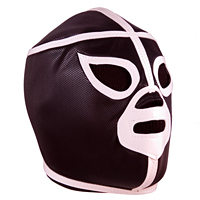 Over the years the Octagón gimmick has spawned a Mascot called Octagóncito and an "Evil clone" known as Pentagón.